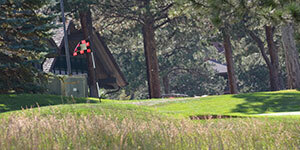 Hiwan Golf Club is one of Colorado's finest golf clubs. For over 55 years it has graced the Evergreen community. 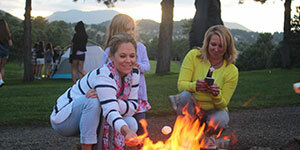 Generations have walked its storied fairways and enjoyed golf and all the many activities of a country club. Our family lifestyle and focus on activities from tennis to our sports and fitness operations create an environment to amplify the mountain lifestyle. It is also the perfect place to host golf tournaments, weddings and business conferences. Hiwan’s golf course staff headed by Sean Parsons, Golf Course Superintendent, is groomed for today’s golfer. Green speeds, great fairway lies and tees that are pampered make a round on our golf course one that you will want to experience...again and again. Click here for a list of memberships available at Hiwan Golf Club. 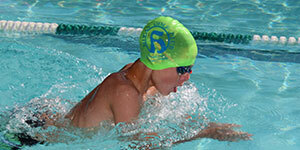 Click here for the Summer Only Pool Membership Application. Available to new member prospects who have not been a club member before and just for one summer. We offer activities for fitness year ‘round. Golf, championship tennis courts, swimming competition, aerobics, yoga and Pilates, cross country skiing and snowshoeing. We also feature a fitness room that features the best equipment for conditioning there is. Questions, call us at 303-674-3366 or email doug@hiwan.com. Hiwan’s greatest feature is its membership. Hiwan members are a warm and relaxed group who have welcomed new members and sustained long-timers for over 50 years. Our social events featuring numerous adult and family activities will make the club an instant favorite for your family too. We have one charter as a club, to provide an ever changing club that is relevant to how our members want to spend their social moments.